3/8"; 1/2"; 3/4"; 1"; 1 1/4"; 1 1/2"; 2"
1. The direct-acting type diaphragm structure without pressure to open to extend the using field. 2. Using the plate diaphragm structure opening and closing with reliable. Then extent the product life. 3. Plastic box connecting wire type, explosion-proof and energy-saving type optional. 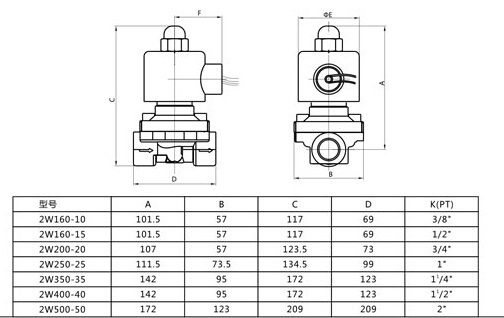 Start working at differential pressure, the 2W series valve has a completely range of solenoid valves from 1/8" to 2". 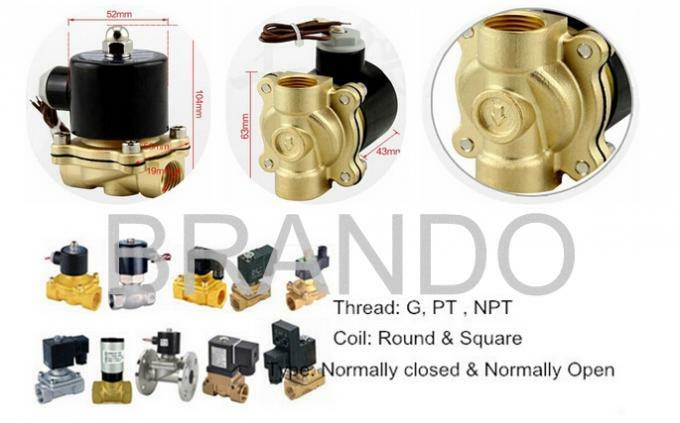 UW series valve is among the oldest history valves, we have stainless steel valve and brass valve for your reference, both of SS valve and brass valve can be normal close valve and normal open valve. This series solenoid valves are most popular valves used for many conditions especially in the water treatment system. 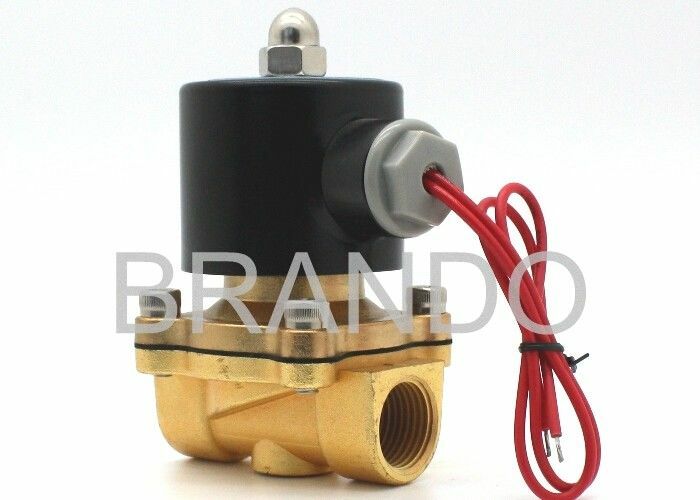 Two position, two way, normal close switch, magnetic solenoid water valve. Can be installed at any angle, but it is a good choice when the horizontal tube keep upward. Used to control automatically the liquid and gas in the pipeline. Port Size 1/8" 1/2" 3/4" 1" 1 1/4" 1 1/2" 2"